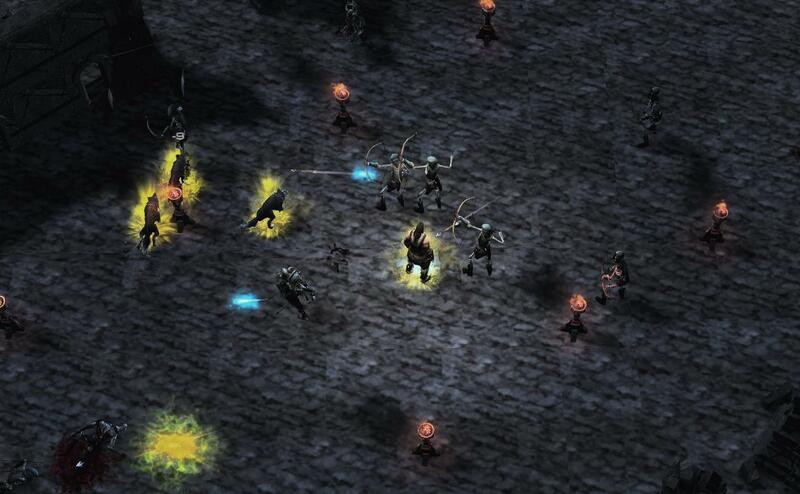 An enthusiastic modder is recreating Diablo II: Lord of Destruction in StarCraft II’s map editor, and it will be available for public testing on Friday. StarCraft II’s still one of the best strategy games around. Check out our list! The Curse of Tristram: Destruction’s End is an impressive free game mod for StarCraft II, which developer egod123 aims to release as a series of custom maps through Battle.net. He’s opening a public test this Friday, May 11, where the first six zones of the game will be available along with three difficulty modes. While he’s mostly aiming for an accurate recreation of Diablo II, ‘Heroic’ and ‘Mythic’ are new modes that offer additional challenges. ‘Heroic’ features stronger enemies, better loot, and ‘world curses’ which disable skills such as ranged attacks and regeneration, and are presumably randomised. ‘Mythic’ goes further by turning all bosses Uber, and adds ‘world events’ which the developer doesn’t go into but they sound exciting. Egod123 has been working on the remake since 2014. He’s also looking to get funding for his modding efforts. For more information on his Diablo II remake, and if you want to kick him a few bucks, you can check out his Patreon page here. It should be easy for anyone to check his mod out, since Blizzard made StarCraft II free-to-play in November 2017.